Believe it or not, some offices still use pencils and paper to communicate. Those that do often find that they have an abundance of waste paper and a lack of usable pencils. 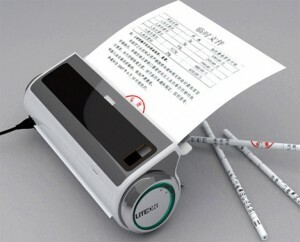 This brilliant solution takes care of both problems at once by using waste paper to create brand spanking new pencils. 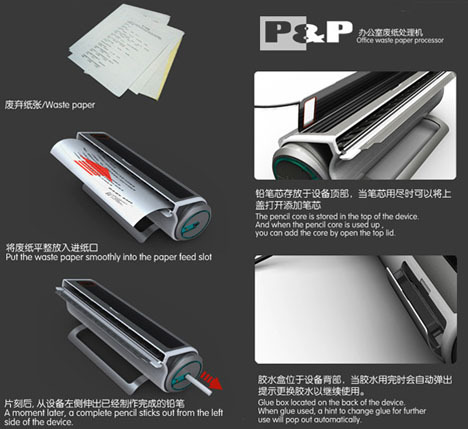 It’s called the P&P Office Waste Paper Processor, and it’s designed to provide low-cost writing implements from office waste. Next: Glowing golf ball, dosen't the LED break? Wonderful post! We are linking to this grat post on our website.